Different Doll Options | Barbie Who? Since the shoe problem was identified, I’ve been trying to look at my different options for resolving it. Buying a pair of shoes isn’t a feasible option because they don’t make proper heels for feet in that shape unless I get an expensive custom pair. I have found a few patterns for crochet shoes on Pinterest, but they have technical problems I am working through. Most of them go up the leg into a boot style and are designed for a different shaped foot than my doll has. I have made a pair of flats that are cute, but they’re too small for Cofelia’s massive feet. I am trying to mod them, but simply lengthening them isn’t enough because of how wide the feet are. While I am going to keep working on shoes, I also wanted to see what other doll options I have. While I am quite attached to the Beach Glam Barbie for this role, I would be doing a disservice to myself if I didn’t explore every option. Choosing a doll is done through the process of elimination. There are many different things that disqualify a doll. Hair color was the initial litmus test. I am looking for a doll with pale blonde hair. That narrowed down the number of dolls by about two thirds. 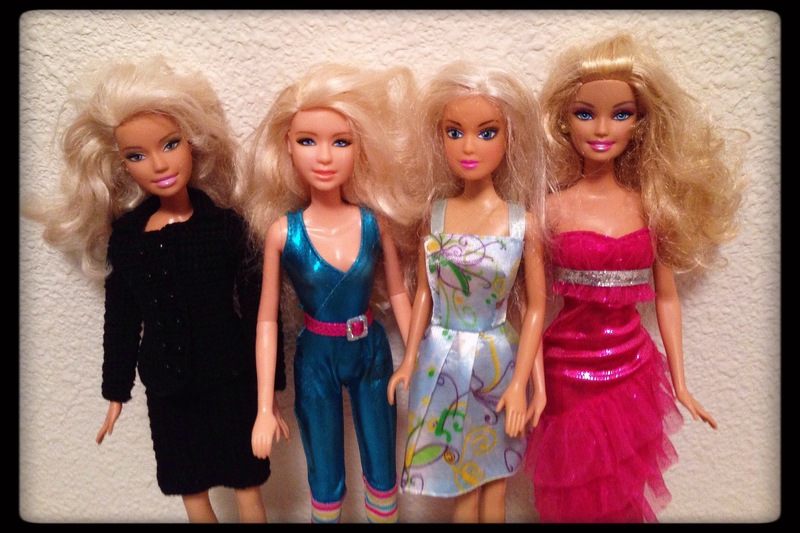 From the remaining dolls, I eliminated any dolls that did not have a body that could wear the outfit I have created. This removed some ballerina dolls and a princess doll who had an adjustable skirt attached to her torso. I also eliminated a couple of Rapunzel dolls because their hair was waaaaaay too long. I eliminated several other dolls because their hair had bangs that wouldn’t work for how I want to do Cofelia’s hair. From there, I eliminated dolls who had feet that wouldn’t fit into the shoes. 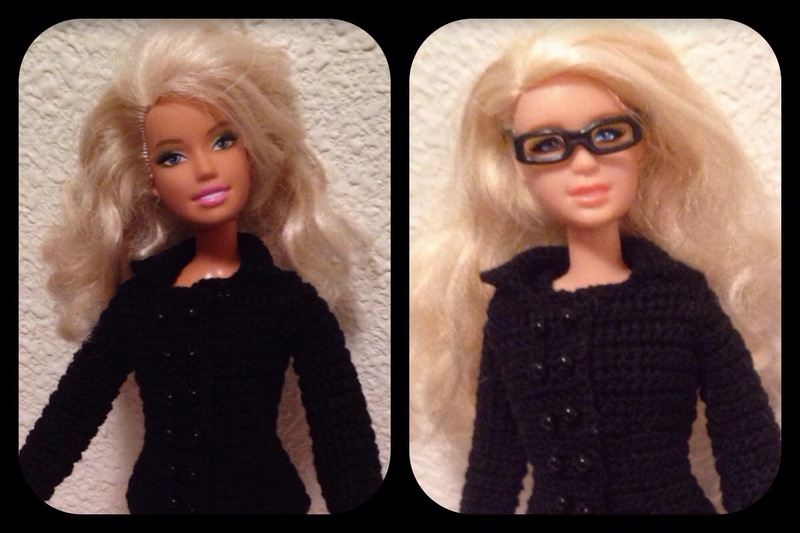 This narrowed it down to three dolls to challenge the one I originally envisioned as Cofelia. The first doll is the Beach Glam Barbie I chose weeks ago. The second doll is a Jakks doll of Taylor Swift. The third doll is a generic doll stamped with the Chic logo. The third doll is another Barbie doll that I haven’t identified (yet). I didn’t like the hair color of the unidentified Barbie doll, so she was eliminated. The shoes had a tendency to unexpectedly pop off of the stiff feet of the Chic doll when I moved her, so she was booted. That narrowed it down to my current Barbie doll and the Taylor Swift doll. Given my options, I think I will stick with the Glam Beach Barbie doll and find new shoes. The clothes don’t quite fit the Taylor Swift doll (smaller waist – I would have to make a new skirt for her), and her face doesn’t quite match what I have in mind for Cofelia. Taswegian1957 suggested a head transplant as an option, but I don’t think I am willing I risk breaking the the Glam Beach doll to do one. Maybe that will be an option one day, but I’m not there just yet. I may try to MacGyver some shoes into existence…. I found several promising shoe patterns, even if none are perfect. I found a crochet pattern for flats that use size 10 thread, and they are cute. They’re the pair I talked about above; I made a pair from the pattern, but it was too small and narrow for Cofelia’s feet. I will start by further modding the current pattern before these more sensible shoes come together. I am also working on her stockings, and it is the opposite of easy. Even with stabilizing paper, it is tough to stitch the fabric. My sewing machine has eaten my first two attempts, so I am going to try hand stitching. I have some recent experience sewing buttons and stitching felt, so I am optimistic about how it will work out. My biggest concern is finding a proper thimble to use while doing it. Hopefully I will have an update within the next few days. The holiday later this week will monopolize my time for a few days, but I am optimistic that I will post again by the weekend. The Ken shoes are on order, so we’ll see how they work when they get here. I just wanted to see if I was driving myself crazy for no reason. I would be so afraid the glue would fuse to the doll and I’d never be able to get them off! It’s small, so I’m hoping it will go quickly. It is three seams on each stocking, lol Just watch me botch it up and take a week with it. If you ever want to try transplant surgery here is one of many tutorials, I would try it on a damaged doll first so you have nothing to lose if it fails. Those neck knobs can break.